The president elect, Adama Barrow, after a long period spent in Dakar, Senegal for safety reasons came to the Gambia on the 26th of January; the day the former president, Jammeh, left the country to seek asylum in Equatorial Guinea. 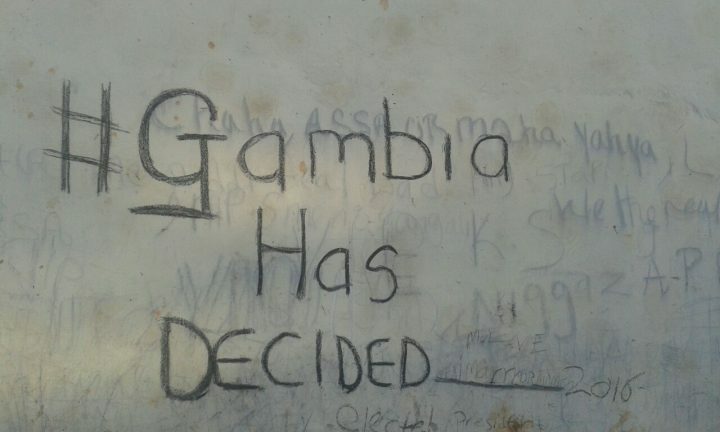 The ECOWAS bloc played a pivotal role in the transfer of power in the Gambia. A body known as ECOwas Mission In the Gambia (ECOMIG) has been here since the 19th of January with the aim of flushing Jammeh out if he had still insisted on staying on. ECOMIG are still in the Gambia and days ago President Barrow extended their stay to 3 months. They are based in military barracks, camps and units for the safeguard of the Gambia at large. Barrow, who is yet to step foot in State House, has already appointed 11 cabinet ministers and none is from Jammeh’s cabinet. A few ministers have left for other ministries. The change in the Gambia is yielding a huge impact on the country’s economy. Many exiled Gambians, intellectuals who stayed in Europe, are now coming back to the country. Americans and Asians are coming in numbers to the country. Failed businesses are trying to restart. Business owners and enterprises are setting up new ones leading to better employment opportunities. Educational institutions have also resumed normal life (the University of the Gambia, the Gambia College, the Management Development Institution, and so on). The new Gambia has started rebuilding damaged ties among nations and the country has started to receive donors from funding bodies such as the European Union and Action Aid. On the 18th of February the Gambia celebrated its Independence Day together with the inauguration of President Barrow at the Independence Stadium in Bakau.